India's ever increasing traffic fatality rate has created an urgent need to understand the factors involved in serious and fatal injury crashes so that steps might be taken to mitigate these. But such understanding relies on having quality, in-depth data available for analysis, and lack of such data has been a big limitation in India. Road Accident Sampling System India (RASSI) is the brainchild of its founders, Jeya Padmanaban and Ajit Dandapani. 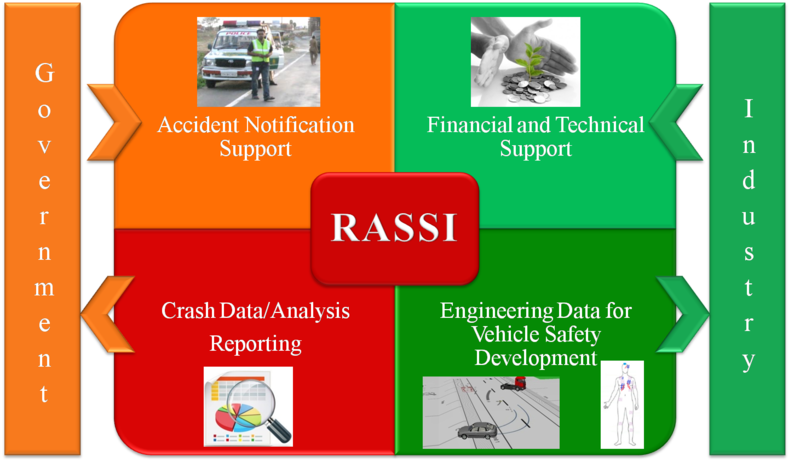 RASSI was conceived to become the first automotive accident database of its kind and is a comprehensive and evolving approach towards in-depth accident data collection in India for India and by India. 2008: The genesis of what would eventually become RASSI began with a passenger car crash analysis study undertaken with the support of insurance companies in Chennai. This led to short-term accident studies on National Highways in the districts of Kanchipuram and Coimbatore with the co-operation of the Tamil Nadu State police. These initial sample studies provided not only good accident data for analysis, but also encouraging experiences with police support in accident notification. 2009: Based on the experience from such sample studies, a robust methodology was developed to perform in-depth accident data collection and research on Indian roads. A relational database and a coding manual was also developed to record the scientific data collected from each accident investigated by the researchers. 2010: Robert Bosch GmbH sponsored a short term study to check the quality of data that is being collected by JPRI researchers. 2011: The OEMs (Bosch, Nissan and Daimler) and parent company JP Research, Inc. came together to conduct on-site crash investigations and in-depth accident data collection on an on-going basis. The first location was Coimbatore district. This system of in-depth crash data collection was christened RASSI. The RASSI initiative is being conducted at NO COST to the government. The government co-operation is sought for crash notifications and permission to examine and collect data from the crash scene, crash vehicles and injury reports of the victims. In return, RASSI provides various monthly, quarterly and annual progress and status reports that also give scientific, detailed and unbiased insight on road safety issues in India. The research reports on the accidents investigated, identifies the contributing factors (human, vehicle and infrastructure) for the accidents and their injury outcomes. The reports also carry with them suggestions of possible interventions that have proven to be effective world over. The RASSI initiative is supported financially and technically by a consortium of Original Equipment Manufacturers (OEM). Members of the consortium fund this initiative for detailed and scientific engineering data, collected during the on-site crash investigations, which helps them in their vehicle safety research and development programs. Members also share their technical expertise with the researchers in improving the quality of data collected. RASSI has proven to be a sustainable working model of a Public Private Partnership that facilitates a scientific data-driven approach towards safer Indian roads. 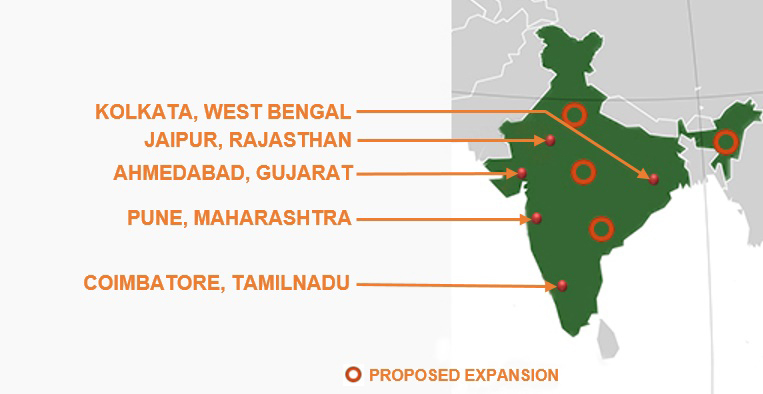 RASSI currently operates from five strategic locations, as shown below. With a goal of accurately representing accident factors across India, RASSI aims to open up another 5 to 8 centres in the coming years for a better representative sampling. Coimbatore Research Centre, in the state of TamilNadu, examines accidents on about 250 km of National highways and State highways that cross the city. Investigations are performed with the co-operation of the Additional Director General of Police and the Superintendent of Police, Coimbatore. This is the research centre where RASSI began in May 2011. Pune Research Centre, in the state of Maharashtra, examines accidents on the Mumbai- Pune Expressway and the old Mumbai - Pune National highway, with the co-operation of the Maharashtra State Highway Police. This centre has been operational since October 2012 and excels in examining high speed accidents, as seen on the Mumbai - Pune expressway. Ahmedabad Research Centre, in the state of Gujarat, handles crash investigations of urban accidents on arterial and ring roads of Ahmedabad, with the co-operation of the Transport Commissioner, Gujarat and the Gujarat State police, and has been operational since February 2014. Being the first centre to cover urban accidents, Ahmedabad has added to RASSI's approaches for investigating and understanding urban accidents. Kolkata Research Centre, in the state of West Bengal, has been operational since November 2014 and examines fatal road accidents occurring in Kolkata City, with the co-operation of the Kolkata City traffic police. This is the first centre where the usage of surveillance CCTV cameras has been explored for doing crash investigations. Jaipur Research Centre, in the state of Rajasthan, is the fifth and most recent centre operational since October 2016. The centre currently handles crash investigations in the East Zone of Jaipur City, with the co-operation of the Jaipur City traffic police along with support from Centre for Road Safety of Sardar Patel Police University, Jodhpur. This is the third centre examining urban crashes and the first centre in the North of the country..
RASSI, functions as a structured setup with two main verticals; the RASSI Technical Committee and the RASSI Business committee. Each committee is headed by a chairman, who in turn reports to the consortium members. The consortium members supervise and direct RASSI activities in India. This committee controls the on-site crash investigation activities and the technical quality of the RASSI data collection. 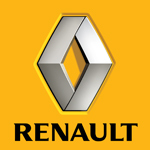 It is also responsible for the advancement of RASSI activities through incorporation of latest techniques and technologies for crash investigation and providing technical training to the consortium members and crash investigators. The committee is in-charge of the data collection centres. Each data centre is equipped with 6 to 7 researchers who are trained by international experts and specialize in crash investigation, accident reconstruction and injury scaling techniques. The business committee is responsible for supporting RASSI activities through active marketing and promotion of RASSI in the automotive industry and the government. Apart from managing the financial side of RASSI, the committee also provides regular updates to the consortium members regarding the status of data collection activities and works with the members to create a roadmap for RASSI to be effective and sustainable in the future. © 2014 - 2019 RASSI. All Rights Reserved.